Caretaker Julian “Seals” Job at DPD! 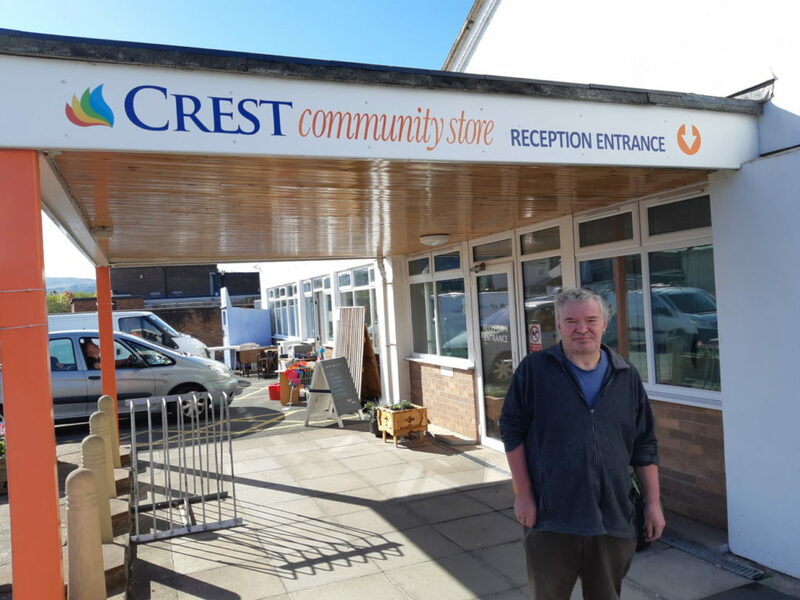 Julian Woodcock began his volunteering journey with Crest Co-operative in October 2017 and on the back of the experience he has gained at Crest has recently got himself a job with DPD. Julian has been placed in Crest to do many tasks over the last twelve months, initially as a van assistant but then became the Crest volunteer caretaker. Julian found out about Crest through Nacro around a year ago, and was initially placed on the vans. “At first I found it hard work because I started struggling with my back”, Julian said. The manual labour wasn’t suited to Julian at the time due to his lack of work experience, so we agreed to utilise Julian’s skills better by placing him in a less physically demanding role. It wasn’t long before Julian made a role for himself at Crest by doing a caretaker role for the organisation. “I did lots of brushing, window cleaning, painting fences, tidying up, cleaning the retail shelves and moved the small electricals into the recycling skips”, Julian explained. Julian started to broaden his skills, and was helping out and doing varied tasks that needed doing around the building, without any fuss. After a few months, his back recovered and he started going on the vans again. “I did enjoy the vans”, Julian confessed. “But when I first joined Crest it wasn’t suited to me, but after a while it worked and it actually became the thing I enjoyed the most”. If a space was required on the vans Julian was the first to volunteer to fill the gap. He even helped out on the kerbside van! But then one week, Julian didn’t come in to volunteer and his absence was certainly noticed. In that week, Julian managed to get himself a job at the DPD helping unload lorries with all the parcels. It was his first paid job since Christmas 2015. Now Julian separates his time between his paid work at DPD but still helps Crest out if his shifts suit his volunteering opportunities. “Being at Crest gets me out of the house and stops boredom”, Julian admitted. “Especially if I was on the vans, it gets me out and about”. So even after getting a paid job, Julian’s volunteer story doesn’t end here, but continues on. “Everybody has been so nice to me, and I really feel part of the team”.